My first experience with LHSA came in the form of a series of practical seminars during my third year as a history student at the University of Edinburgh. 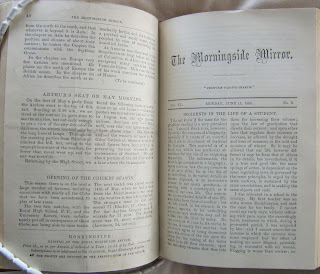 I did not stumble onto this course by accident, or just because I had to pick something: I had been taking a one year course called Madness and Society which I found highly interesting and fascinating and through this I developed a passion for medical history and the richness of the original sources which the field had to offer. So naturally, when the chance came up to work with LHSA’s archival materials and one of their archivists it was my first choice for the third year course History in Practice. However, at the time I was simply excited about getting to see some of LHSA’s vast collection and did not foresee the impact that this would have on my life and future career. I became truly inspired by the archive and the role of the archivist. When studying history there is one question you are frequently asked by friends, family and people you meet – “what are you going to do with a history degree, become a teacher?” To be fair, I had no real idea what I was going to do to start with as I was simply enjoying learning and developing the set of skills needed for history. But that changed after my seminars with LHSA: I now found myself responding to that almost rhythmically frequent question – “I quite fancy a career in archives”. Now… this stared to throw up all sorts of different assumptions as friends pictured me as some sort of Gandalfesque figure stalking some deep dark cavernous basement, battling through giant cobwebs with lantern in hand – coughing and spluttering as dust is disrupted from its slumber on some ancient scroll. As appealing as that actually sounds to me, I knew from my time at university that the perception of archives doesn’t always match the reality. The Centre for Research Collections (CRC), where LHSA is based, is a refreshingly bright space with spectacular views of the city of Edinburgh and the surrounding hills, as it sits not in the basement but on the top two floors of the University’s main library. CRC offices on the top floors of the George Square library. 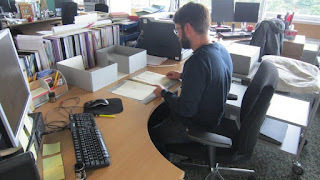 My time as a student with LHSA also gave me ammunition to fight the perception of the archivist as some sort of solitary figure, cut off from the rest of the world with nothing but old manuscripts to turn to for companionship. Nothing could be further from the truth in the modern age. If it wasn’t for the archivists willingness to engage, (be it with students, researchers, or the wider public) then I would not have been inspired to travel the path which I now find myself on. Outreach, advocacy and education are becoming just as important as cataloguing and dealing with enquiries. Not only do they challenge some of the assumptions mentioned above, such programmes are also highly valuable for demonstrating the importance and value of archives for our cultures and societies – especially during times like these when funding is a rare beast to find. 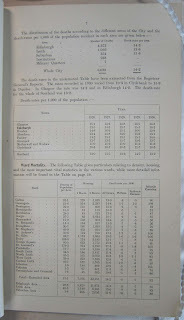 Fundamentally, for me anyway, I feel that archives are about stories and what good is a story if it is never shared? So what happened next? 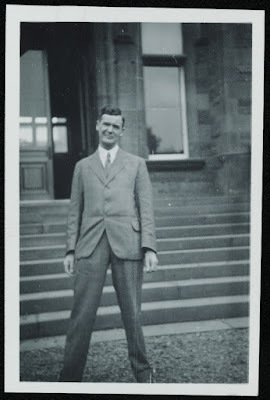 Well… after graduating last year I found out about the brilliant Skills for the Future project (courtesy of a lovely archivist I met whilst camping in the Highlands) which is run by the Scottish Council on Archives (SCA). This gives six trainees each year, for three years, the chance to work and gain valuable experience in archives throughout Scotland. This on its own seemed like a brilliant opportunity for someone like me to break into the sector. However, the fact that there was a traineeship positon at the CRC, where my passion for archives was born, I knew it was the one I had to go for. When I was told that I was the successful candidate I literally jumped for joy, but still found it hard to believe that I would be working in the same place that I had been a student. I am now almost nine months into my traineeship and I have had some wonderful experiences. These include being involved in the Explore your Archive social media campaign; planning and running school workshops for the Widening Participation project; and cataloguing some of the University of Edinburgh’s David Laing collection (in which you can discover absolute treasures every time you open a box). However, on a more personal level, getting the chance to spend two months working for LHSA cataloguing the neurosurgeon Norman Dott’s case notes has been truly remarkable – and pretty surreal to be sitting on the other side of the wall to the seminar room where my old workshops were held. I always did wonder what it looked like on the other side - well now I know. On 12th August Iain Phillips’ secondment at LHSA comes to an end. He updates us on what he has been up to since his last blog post. 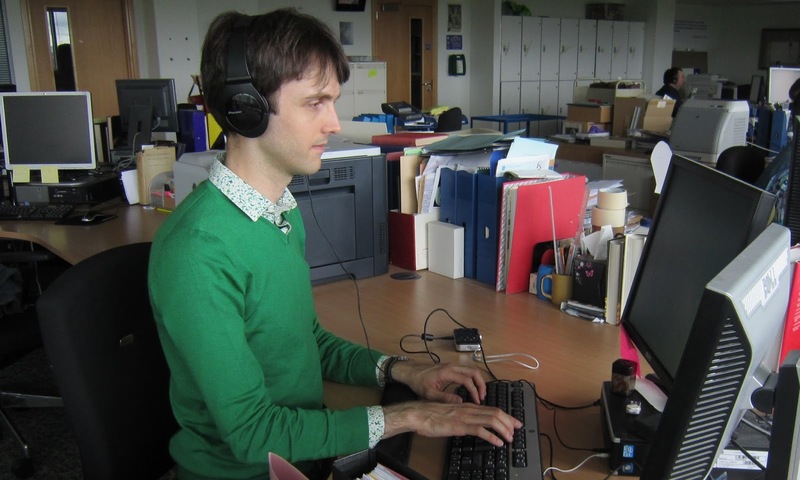 I have started recording for both projects in LHSA and John Lewis Edinburgh and, although they require the same skills, the final use of the recordings will be quite different. This highlights the many uses that oral histories have. The recordings stored with LHSA will be under strict control of the archivist, where access will be limited to allow research and, if requested by the interviewee, some may have their access restricted for a requested length of time. This is understandable due to the subject being discussed - you may get a more frank discussion if the interviewee knows there is a time limit before the recording will be released. In contrast, the intention for the project in John Lewis Edinburgh is to share the Partners’ stories immediately through a website so both current working Partners and the general public can listen to these. The recordings will also be deposited with the John Lewis Heritage Centre. In formulating the questions for my first oral history recording I did a little research. I accessed documents from the Lothian Regional AIDS Team (GD24) collection which had correspondence, meeting notes and various drafts of the proposal for the project my interviewee was involved in. I felt this provided me with more confidence to talk about a project that I originally knew very little about and also inspired questions that I would not necessarily have thought of. As this was successful for my first interview, I will be doing similar research for my second interview with someone who has experience with providing pastoral care for those affected by HIV. Before booking a room, I consulted with Clare Button, Project Archivist on the Towards Dolly project, who had some experience with oral histories. One of her tips was to use the sound-proofed video conference room in the George Square Library. This, partnered with the background noise reduction feature on the voice recorder, meant the recording was clear and required no post recording editing to remove background noise. When it came to recording the interview, the time flew by. To set the scene, the interviewee and I were sitting at a table, face to face, with the sound recorder sitting between us. I had a page full of questions and topics to cover sitting in front of me and I went through the agreement and copyright form with the interviewee. I then pressed record and introduced the recording - this helps an archivist and any listeners understand what the recording is. My page of questions and topics were spent after about 20 minutes. It went a lot quicker than I expected but everything I wanted to discuss was covered in the recording. The interviewee then signed the agreement after the recording. It was then time to catalogue and transcribe the recording. Following some further training from Louise on creating catalogue entries and transcription I got started on creating two documents: a catalogue entry that summarises the important points and timings of the recording and a transcription which records the interview word for word. The catalogue entry was relatively straightforward since I adapted a template that Louise provided. I listened to the recording the whole way through, marking the time and the general topic discussed at these points. Important information about the whole length of the recording and the format it is held in was also added. The transcription document was a lot more time-consuming. In my training, Louise had shared the fact that some oral histories may take seven times the length of the recording to transcribe them, and there does not appear to be a piece of software that can do it accurately enough yet! Essential, for me, was the software package Express Scribe by NCH. This allowed me to slow the speed of the recording to half the normal speed, and also used the function buttons on my keyboard to pause and play. The big advantage of using the function buttons was that I did not need to exit the Microsoft Word document I was typing in, saving me a lot of time. The transcription took about a day to complete and I think I will get faster as I do more. Listening to my first recording there are a few other things that I have learnt to take to the next one. There were a huge number of ‘ums’ in my first recordings when I was asking questions. That should be easy to fix, I just need to understand that pausing is natural and try not to fill it with ‘ums’! Keep an ear out for jargon and acronyms. There was one acronym that slipped by me during the first interview and without clarifying it during the interview I needed to add a key on the transcription. The first two recordings I am doing for LHSA is creating a framework to allow the LHSA team to continue adding recordings of personal stories to add context to existing HIV/AIDS paper and object collections held at LHSA. The intention is to continue to interview retired policy makers, retired healthcare personnel, staff working in charities to support those affected by HIV in Edinburgh and the Lothians and possibly service-users of those charities. This project is ongoing and would have been much more difficult to get off the ground without the support the John Lewis Golden Jubilee Trust secondment paying for me to work at LHSA for two days a week for 24 weeks. I would like to thank all of those within LHSA and the Centre for Research Collections who have welcomed me and made me feel part of the team. Thank you also to my team back in John Lewis who have supported me in this. I particularly would like to thank my supervisor Louise at LHSA who has taken a lot of time to support me in this secondment and has given me the opportunity to make an important contribution to preserving the history of a city I both love to live and work in. Finally, this secondment would not have been possible without the enthusiastic support from the John Lewis Edinburgh Communities Liaison Coordinator, Judith. 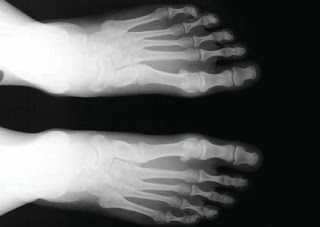 X-rays were originally produced on glass plates using a photographic emulsion. X-ray sheet film was first developed by Kodak in 1913 and used a thick nitrate base. This was followed with film made with two sides coated in nitrate in 1918. Nitrate film was found to be flammable, which led to the development of “safety” film, made from an acetate base, by Kodak in 1924. From the 1950s onwards polyester was mainly used to make X-rays as it is a more stable material. 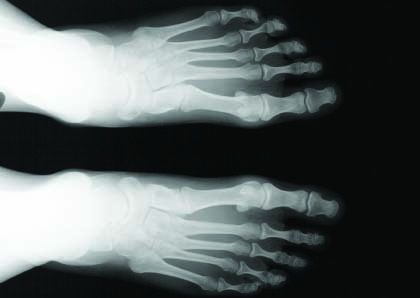 Today, X-rays are made and stored in a digital format and can be printed out on film or paper if needed. The X-rays found in LHSA’s collections are a valuable source of information, however, the nature of their material composition means that they will, inevitably, degrade over time. As cellulose nitrate deteriorates it emits a strong odour, discolours to an amber colour, and becomes sticky and brittle. As acetate film degrades it emits a vinegar smell caused by the release of acetic acid. This is known as "vinegar syndrome", which also has the potential to cause damage to paper-based collections held in close proximity. Once deterioration begins, the chemical process becomes autocatalytic, meaning that degradation will take place at a faster and faster rate. When the film degrades, the base shrinks, and the emulsion starts to separate from the base and begins to crack. The film becomes brittle and eventually shrivels or buckles distorting the image beyond use. Due to these problems, it was decided to separate the X-rays from the rest of the collection. 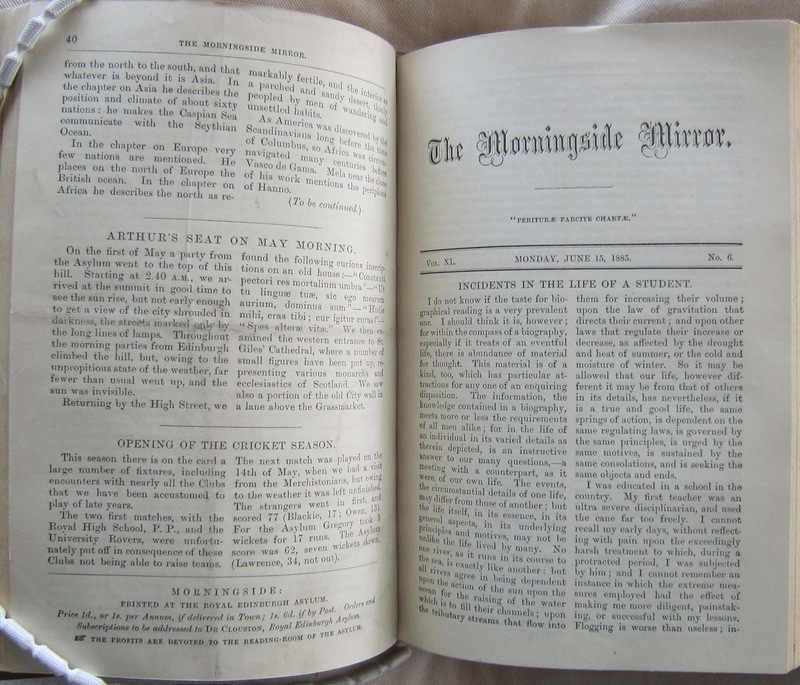 A comprehensive digitisation programme was carried out to capture the information held, and these images were cross-referenced with case histories that accompany them. Because of the risk cellulose nitrate film poses in an emergency situation such as fire, the limited number of originals on this type of film base will be safely destroyed. The X-rays on cellulose acetate will be placed in to frozen storage to slow down the rate of deterioration. Read all about how we do this in the next LHSA conservation blog! 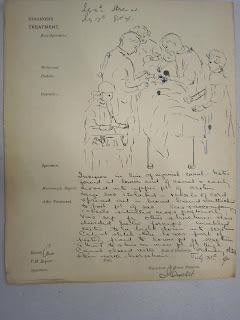 The process of cataloguing Professor Norman Dott’s Neurosurgical case notes (1920-1960) has made me think about the wider history of Neurosurgery from its foundations, to the way in which it is practiced now. Sticking to the Edinburgh context, I decided to find out a bit about how Neurosurgery developed after the days of Dott and how his legacy paved the way for the future of the medical science. 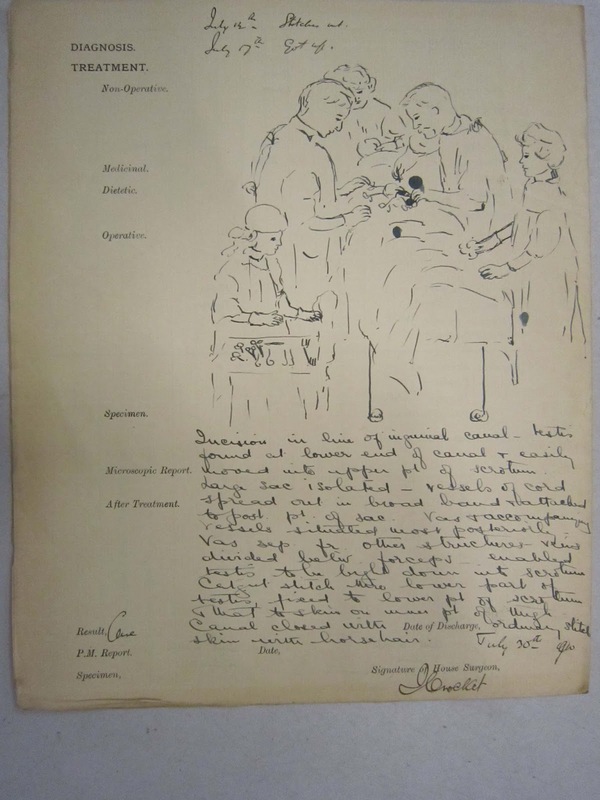 Around ninety years ago Dott began working with the great Harvey Cushing, motivating Dott’s enthusiasm for neurosurgery and his approach in specialising in this area of medicine. 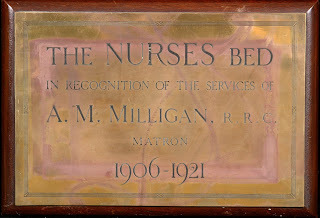 From there the foundations of neurosurgery in Edinburgh had been made, with Dott opening up the first dedicated neurosurgical ward in Scotland, in 1938, at the Royal Infirmary of Edinburgh (RIE). Now with the facilities to practice this medical specialism, Dott made an incredible impact on the development of surgical neurology. 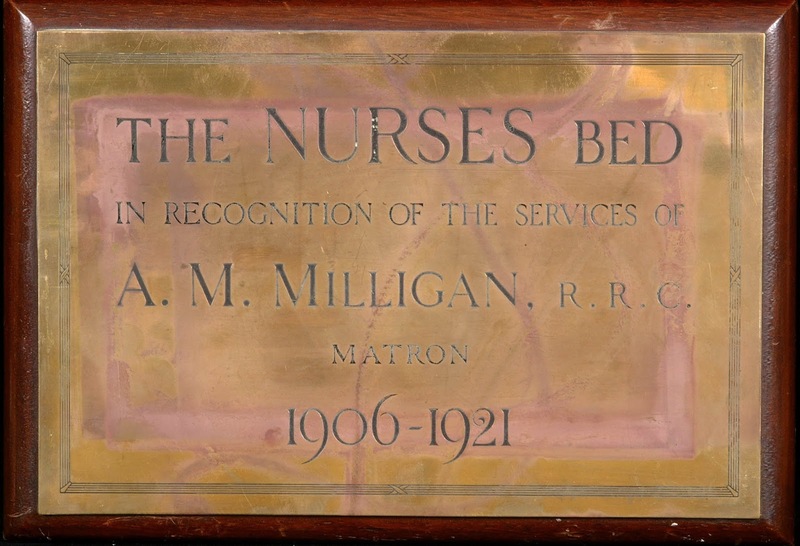 He undertook major work in intracranial operations, pioneering surgeries throughout the 1920s and 1930s, and was one of the founders and presidents of the Society of British Neurological Surgeons. In his later years this prestigious career continued when Dott developed a new Department of Surgical Neurology at the Western General Hospital (WGH) in the early 1960s (more information about this development can be found in a past blog post here). 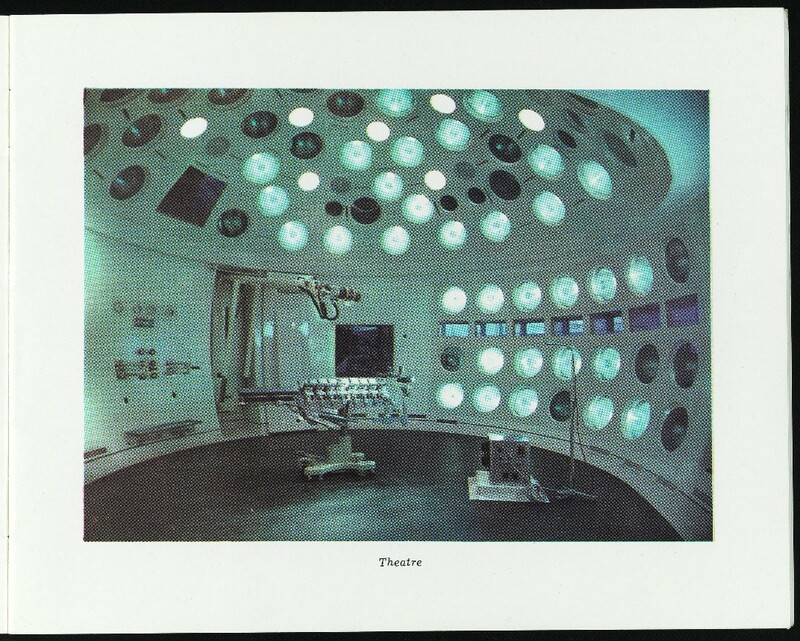 Although he retired in 1963 this unit was a lasting testimony from Dott to the future of Neurosurgery. 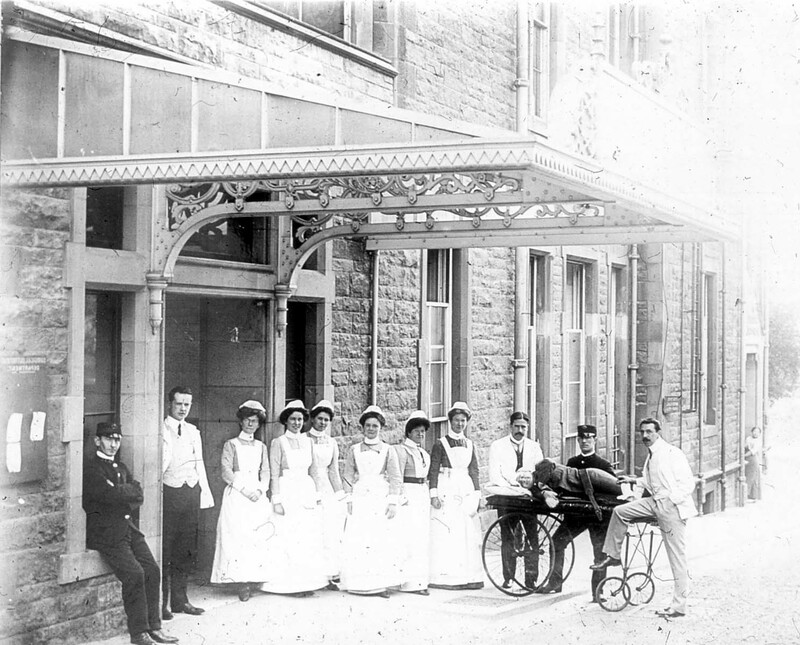 The development of the neurosurgical unit at the WGH meant that the second half of the twentieth century saw neuroradiology, neuroanesthesia, neuropathology, clinical neurophysiology and neuropsychology all being practiced in one purpose built site. When Dott retired he was replaced by Professor John Gillingham, who had worked as a consultant neurosurgeon under Dott’s directorship. Gillingham’s career, undoubtedly influenced by Dott, saw him make international contributions to the neurosurgical treatment of movement diseases such as Parkinsonism, and in his work with spinal and head injury patients, he became a campaigner for legislating the use of seatbelts in cars. Two other neurosurgeons, who trained under Dott, include Phillip Harris and John Shaw. Harris also went on to specialise in spinal trauma, whilst Shaw played an important role in the recognition of paediatric neurosurgery as a separate medical specialism. By the 1980s many of the neurosurgeons appointed by Dott were beginning to retire, including Gillingham, Shaw and Harris and also Kate Herman and Sneddon Watson. The face of surgical neurology in Edinburgh was also beginning to change and by the late 1980s the Surgical Neurology Department at the WGH merged with the University of Edinburgh department of Medical Neurology in 1986 forming a new Department of Clinical Neurosciences, with a physical merge at the WGH in 1989. Combining surgical practice and medical research made way for advances in neuroscience technology, particularly in imaging services, facilitating the use of MIR (magnetic resonance imaging) scanning technology in the department. 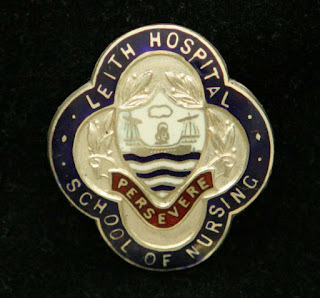 Moving into the 1990s saw major changes for NHS administration and financial difficulties for Lothian Health Board (LHB). However, the Department of Clinical Neurosciences continued to develop, building an intensive care unit so that all severe head injury patients could be admitted to the Department at the WGH. Today the Department of Clinical Neurosciences still operates in the WHG, with ten Consultant Neurosurgeons, 48 beds throughout 3 wards, serving a population of 800,000 across Lothian, Fife and Southern Scotland. From the days of Dott it has been interesting to chart the developments in neurosurgery and the strong links that his remarkable career has had to the future of the medical science and treatment of neurological conditions. 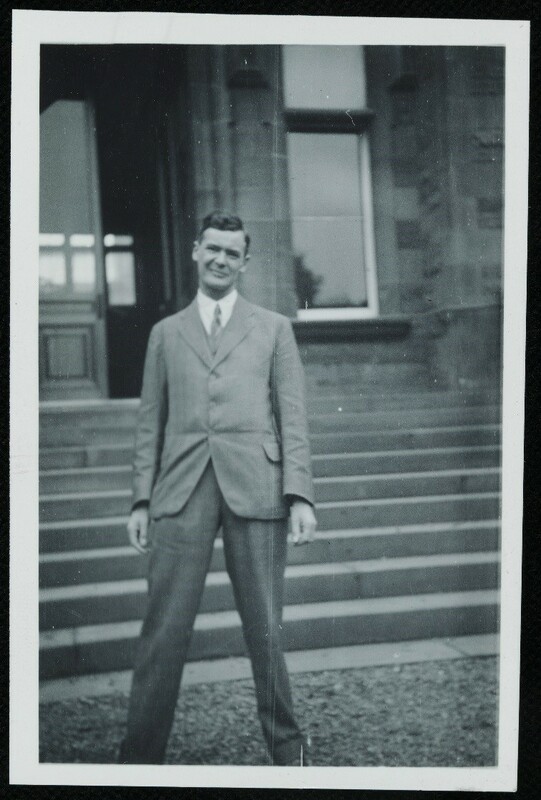 From the pioneering work that came from those influenced by Dott’s work and training, to the neurosurgical departments and facilities that he established, neurosurgery continues to develop in Edinburgh today. Miller, J.D. & Steers, A.J. (July 1996). Surgical Neurology and Clinical Neurosciences in Edinburgh, Scotland. Neurosurgery. 39 (1), 151-159. Managed Service Network Neurosurgery. 2015. Managed Service Network Neurosurgery. [ONLINE] Available at: http://www.msn-neuro.scot.nhs.uk/Neurosurgical-Network/Western/. [Accessed 08 July 15]. It (finally!) seems to be summer time again. You’d think that the sun would signal a quiet time in university archives – most of the students are on their summer breaks and genealogists’ thoughts are perhaps turning more to the lilo than lineage…. However, judging by the last few weeks at LHSA, that’s not at all the case! Summer time means that academics are released from their teaching and finally have some time to do their research and postgraduates enjoy the relative quiet of the campus outside semester time. They’re certainly doing that in the Centre for Research Collections reading room, with this past week rarely seeing a spare table on the sixth floor. 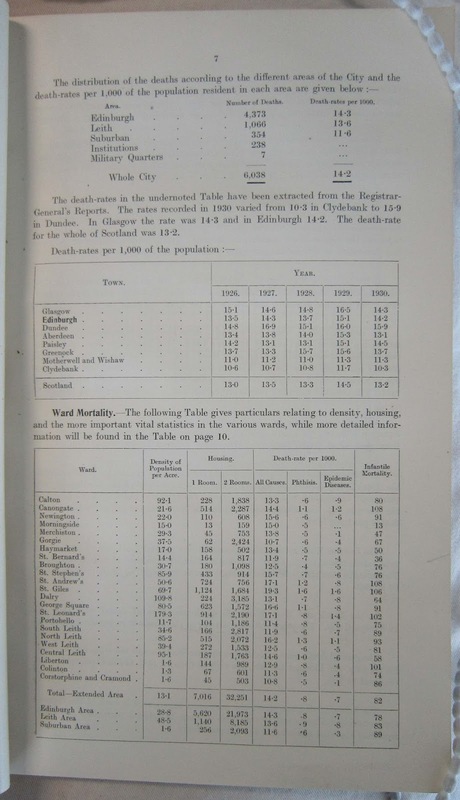 LHSA readers, for example, are researching control of infectious disease in the early twentieth century, late eighteenth and early nineteenth century fever medicine, child psychiatry, public health policy in Edinburgh and the relationship between physicians and patients at the Royal Edinburgh Hospital. 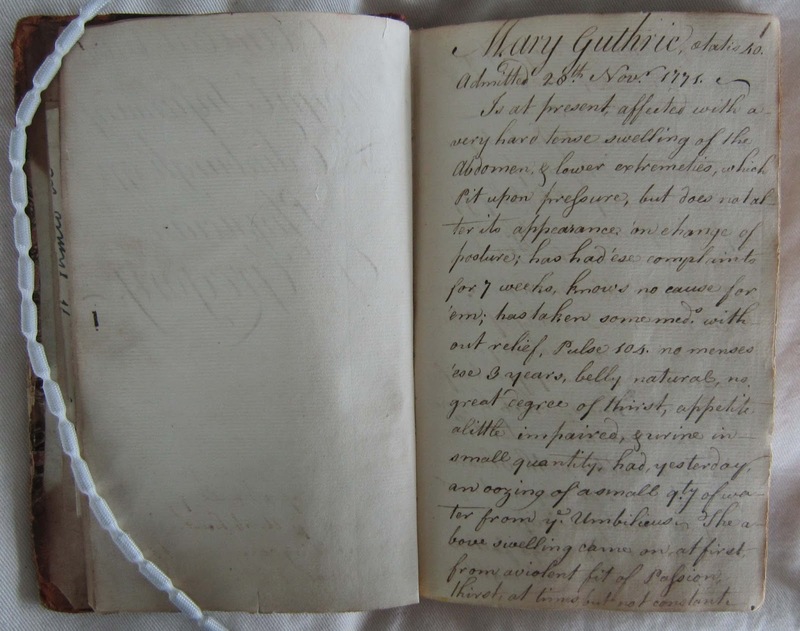 And we’re going to search out our oldest Royal Infirmary of Edinburgh case notes for our visitor researching early fever medicine…. 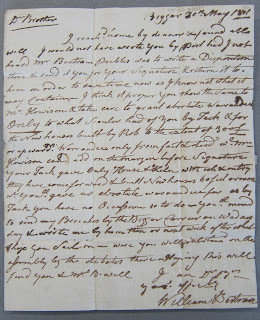 Letter from William Bertram to his brother James (1801) that helped to shed new light on one reader's research (GD10/13/7). 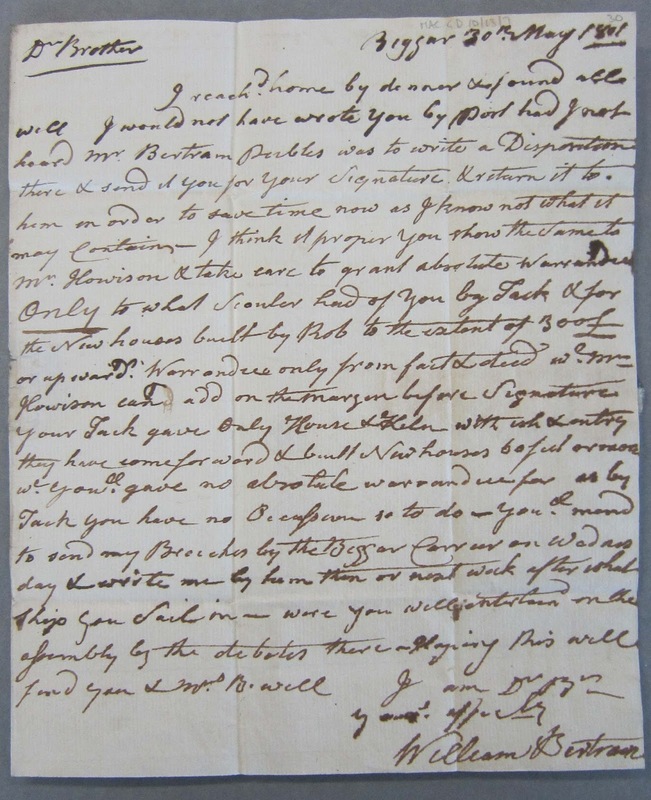 William Bertram left a bequest in his will to the Edinburgh Society for the Relief of the Destitute Sick, which accounts for his papers' presence in our collections. 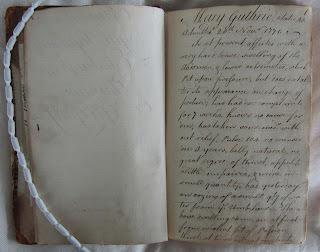 The breadth of the research taking place this summer is a reminder that the archives that we hold are relevant to academics from a wide spectrum of disciplines, not only in the history of medicine – showing how medicine and its institutions were an integral part of both individual life histories and larger social and cultural currents.